This beach house is a little piece of paradise. Steve and Jen were very warm and hospitable. Surfboards and boogie boards were great to take down to the beach 2 minutes walk away. Why would a couple open up their own perfect home to strangers to come in? Ask them why! A Spanish perspective ... ta Ada! Una casa preciosa con un magníficos anfitriones. Me sorprendió tomar el desayuno todos juntos, pero fue una manera muy agradable de establecer conversación con los demás huéspedes. Y la ubicación no puede ser mejor. A beautiful house with a magnificent hosts. I was surprised to have breakfast all together, but it was a very pleasant way to establish conversation with the other guests. And the location can not be better. 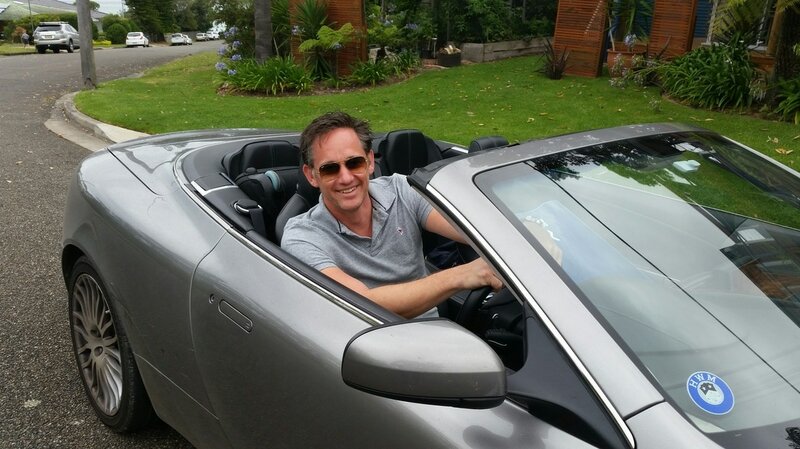 Steve & Jen's place offers everything you could ask for and more - amazing value. 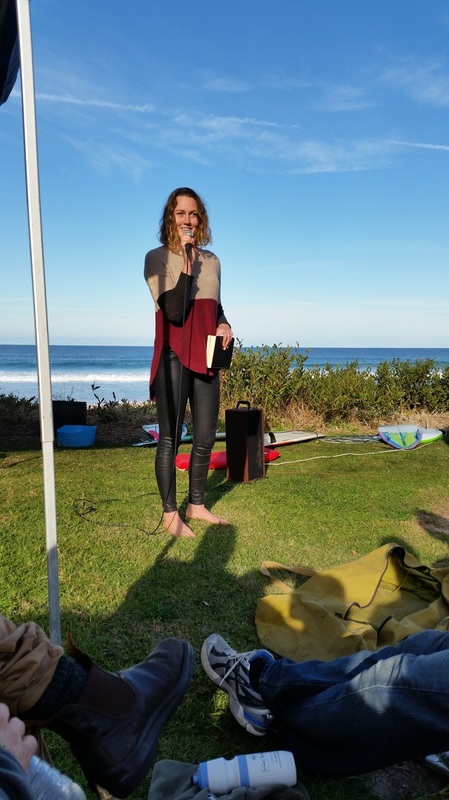 Perfectly positioned right at a beautiful beach, surf boards and wetsuits supplied, extremely comfortable mattress and an amazing brekky cook up. It was an absolute pleasure to meet Steve & Jen and enjoy their company and that of the other guests too. The smell of bacon wafts from the BBQ as I sit here on the balcony gazing out through the gum trees to Narrawallee Beach. 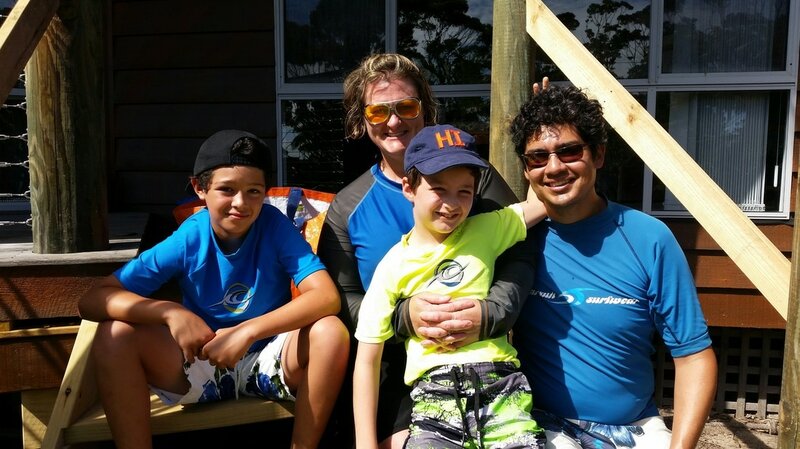 Steve and Jen are living the dream and share their little slice of paradise with travelers on the road like me! Honestly this is definitive Airbnb - a warm welcome, a clean comfortable bed, a good price, some unexpected facilities (surf board and Billiard table), a cracking breakfast over a sublime view and a sense that you have really stayed in a place and discovered a hidden gem! Happy Days! Steve and Jen are consummate hosts, making everyone feel like family. We're grateful to have stayed at their beautiful home in a gorgeous location where, when not at the beach 2 minutes walk away, we enjoyed the ocean breeze and view from the huge deck off the large open (shared) kitchen. With different travelers staying in each room we were able to enjoy each other's company at breakfast (in Steve's words "the world comes to us"), and have the house mostly to ourselves when we weren't at the beach. Steve and Jen like to spoil their guests in providing an amazing breakfast each morning (that carried us through lunch), and preparing dinner was fun as it was either alongside Jen and Steve, or with other guests. The downstairs tv and pool table area was great to relax in after hours at the beach. We'll definitely be back! Elisha's room was the perfect weekend getaway. The room is spacious, a beautiful fit-out and it has everything you need to be self contained. Upon arrival the fridge was stocked with the staples and breakfast food including eggs from the their own chickens. 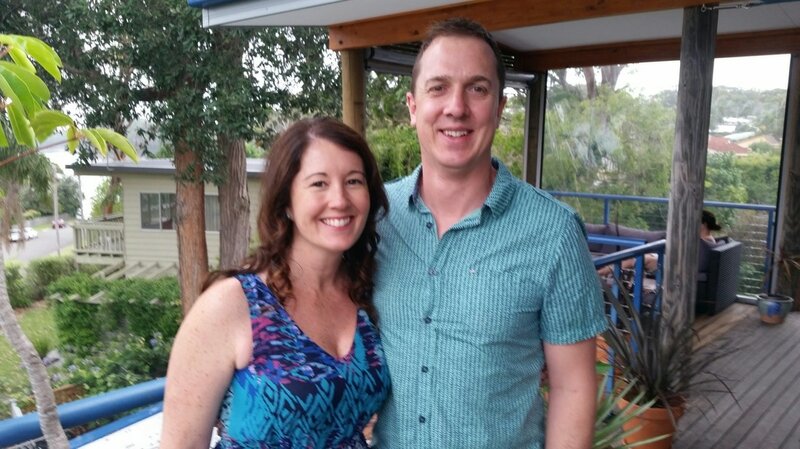 Steve and Jen are beautiful hosts and the location is perfect, being a stones throw to the beautiful Narrawallee beach and just a few minutes drive to Milton. During November we had an amazing time with three fellas from France. Their only destination in Australia was Narrawallee...yeeew! 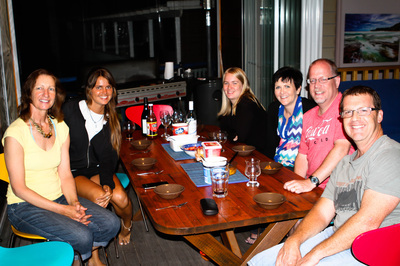 "It is with great pleasure that we stayed more than three weeks at Steve n Jen's who were more than kind to us. The accommodation was as we expected, with surf boards and serious surfing advice and shared meals. Jen and Steve were very discrete when needed but also very helpful when needed. I have such good things to say about this place and the people we met. I only advise that you go and see them and you wont be disappointed. Next year we are coming back to see them. Jen and Steve, please continue like that. You are extraordinary. We really like you and a billion thank yous for the discovery of surfing. I'm completely hooked. Next year I'll get into the waves with my Australian brother Steve! Patrick (who's already thinking a lot of you)." 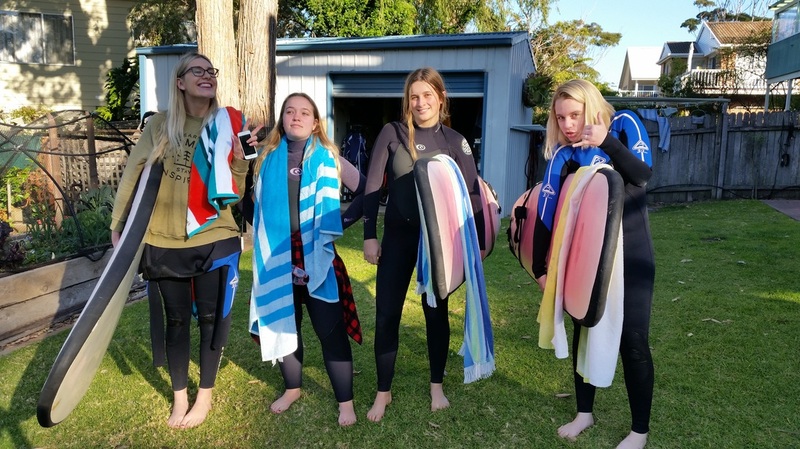 That's right .... 4 students from Shoalhaven Anglican School came for a week in July to participate in ther Study Camp based here at the SurfHouse. I really enjoyed having time away from home and just getting down and focusing which is something that you guys offered us. If I had done this week at home i wouldn't have been eating enough or doing any exercise at all for that matter. I think that everything was pretty cruisy which crated no stress which was refreshing. Aimee and Suanne gave me a lot to think about and helped in changing some of the mind set/ opinions I had already set in my mind. Belinda showed me how important the littlest of help can be and Jen gave me more knowledge on mission as a whole and I really like her song it is really catchy. "Missions don't just have to be overseas"
"Stay F.A.T in your faith "
" Don't rush into doing a mission "
I would definitely recommend it for other students! I really enjoyed this idea of the study camp as it gave me a strong routine and also lots of time out, which is what I needed. I think the SurfHouse is in a prime position for a study camp because of the beach just there and the serenity of the area…just beautiful! "Mission isn't something you plan, it's something that is led up to." I loved hanging out with friends and being able to eat together every meal and stuff like that. gained greater knowledge of God and how he has worked in the lives of many"
"Missions aren't for everyone, but are beneficial"
"Never forgot God is there and has a plan for your life"
"Missions can be done in a local community"
"God has your life in order, trust in him"
Thank you so very much Steve and Jen for the wonderful, beneficial and relaxing experience. I am more than grateful to have been a part of the Study camp. I would love to volunteer to come back next year and give a hand! I really enjoyed the study camp, it was a really nice time to get a bit of work / study done as well as spend some time with friends too. I loved the structure of the camp, just in the way it gave some solid time for study but also time to enjoy as well which I liked. Even though each day was very structured I feel like it was done in a way that also gave a good amount of freedom too. 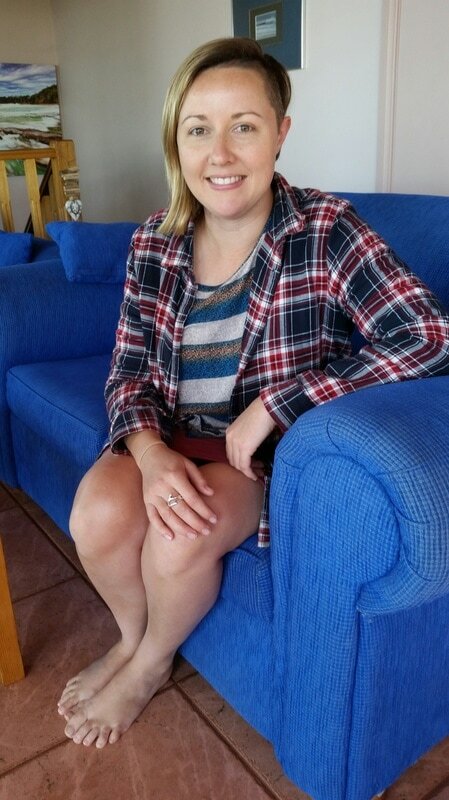 I think the highlights for me were making all the meals together, going surfing each day and I loved getting some time to just hang out with friends. I really liked hearing about other people's experience of mission and just their stories as well. I think it was really nice getting to have dinner with them first too, I feel like it allowed time to get to know them as well as just be a really enjoyable time in itself. I got a lot out of listening to Suanne's story and just her honesty about how God has worked and is working in her life. I loved hearing the song Jen wrote too, it was really special hearing such a personal and real story about her life. 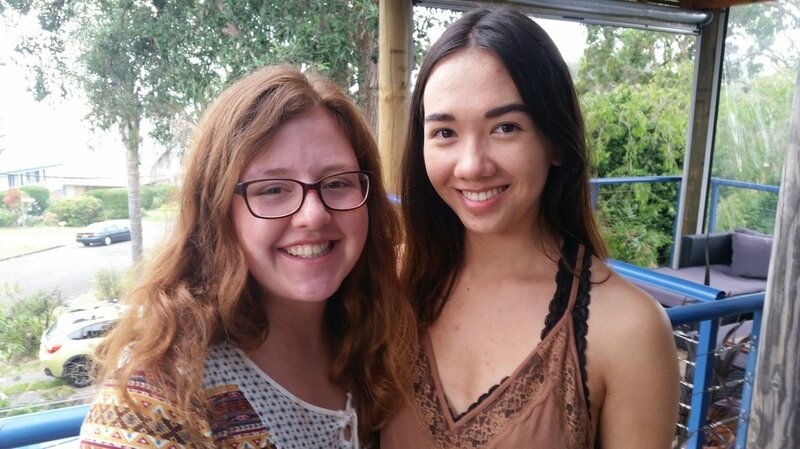 It was really nice spending time with Belinda and Aimee as well and I liked hearing about their experiences of mission and the way that mission doesn't always mean going to faraway places. Thanks again for such an epic week and sharing your home with us too, I'm so thankful for the support and love you guys showed us throughout the week. 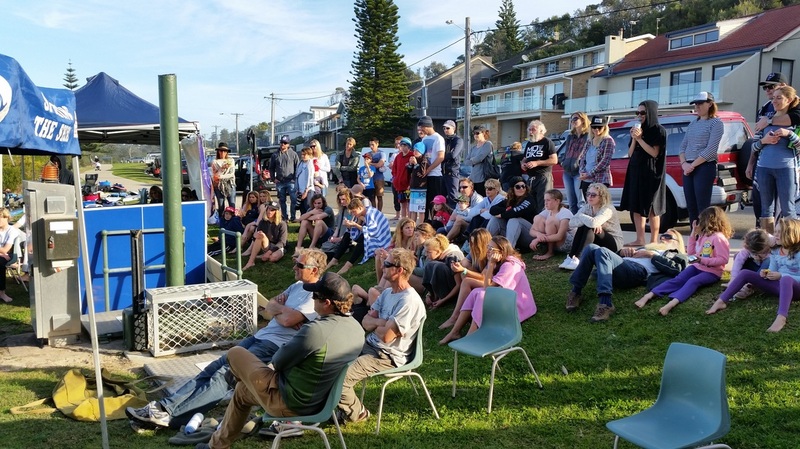 June 13th saw the local Christian Surfers crew hold their annual Winter Comp. Competitors came from several direction and joined in with many of the locals. 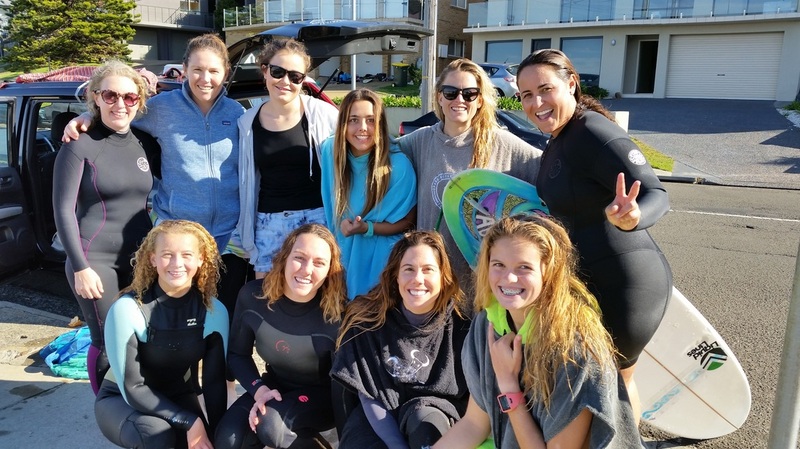 A group of girls from Sydney came down and spent the weekend either in the water or in the Surf House. They were a crazy delight to have in and they left an endearing mark both on the competition and with the locals! The day was superb and the following a few snaps of the great weekend. We were blessed to have a bundle of Russian enthusiasm in our House for a week. Yulia is in Australia doing a media/TV course and she choose us to come down to and improve her surfing. She had a ball, surfing, bike riding, meeting locals, climbing Pigeon House Mountain, chasing horses and kangaroos, watching John (a new friend!) 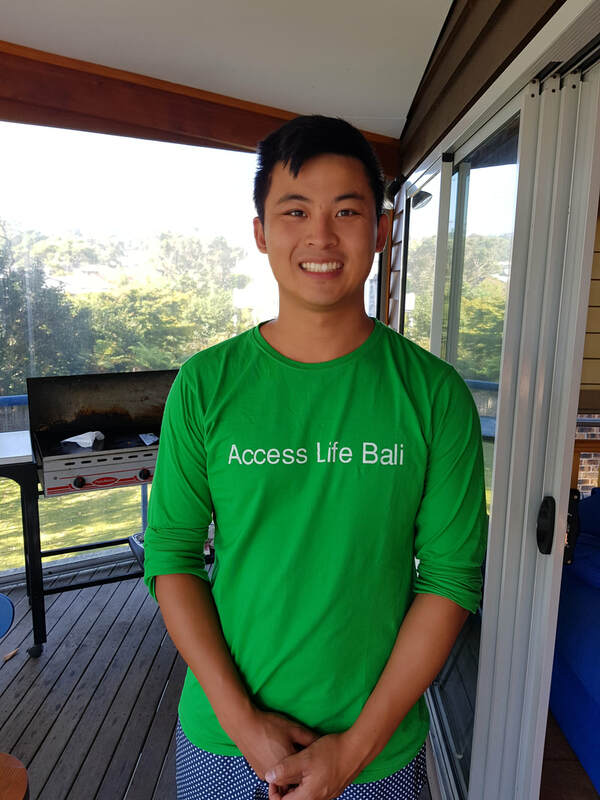 take on Jump Rock at low tide and then spending hours in Milton Hospital while he had his injured leg X-rayed!!. We had a ball with her also. A special treat was sharing in her cooking talents ... a tasty beetroot soup, called borscht, is continuing to delight our palates. "Good evening, Jen and Steve! Thank you for being so kind to me! It was a big pleasure to stay in your house! 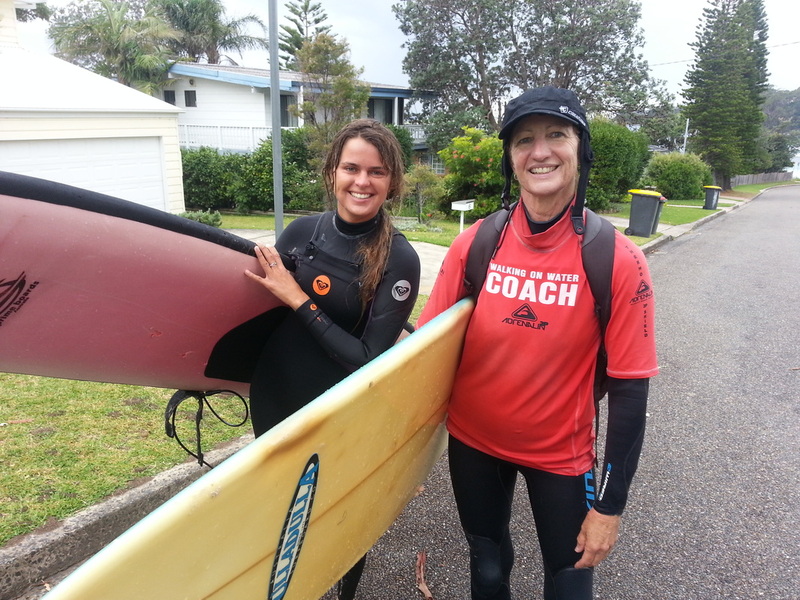 Unbelievable morning surfing with Jen, beautiful breakfast and all your care- I really appreciate it! It means a lot this "feeling home" so far away from native home! 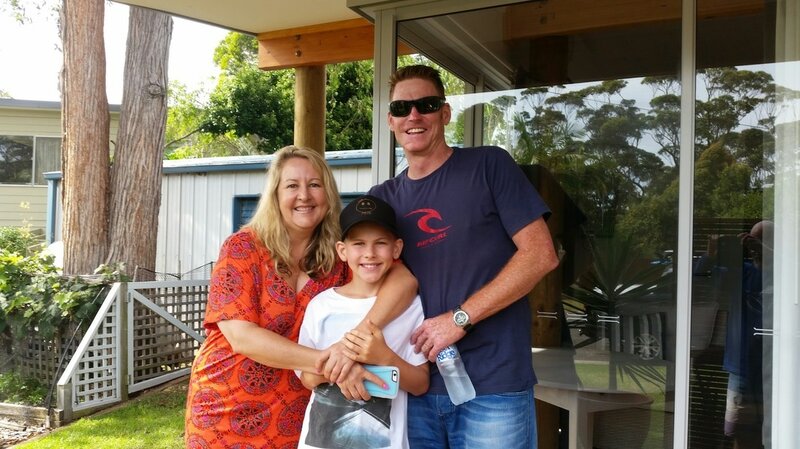 Lucas and Ash returned from Victoria to have some special holiday time with Lucas' Mum, Nicola. It was another hoot and we loved the vibe that they brought and shared. We l;oved our time with you guys. PS: These two had announced their engagement on Christmas Day!